Just do it yourself! You need some wall decor ideas? Some ideas for pictrue frames? Well, here you are in the right place! 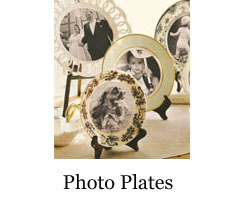 Photo displays, unique picture frames and photo shelf displays. You want to create cool stuff on your own? As a photographer one of the most common dilemmas I see my clients face is how to hang portraits on the wall. I am a big believer that pictures are meant to be on the wall for friends and family to appreciate, not stuffed in a box or an album. Read more! With this post we will point out a few simple steps to help you outline the perfect space in your home to create a photo art wall! Go to any home and you are bound to find plenty of empty wall space. Why? Because typically people find hanging portraits a difficult and challenging task. Read more! 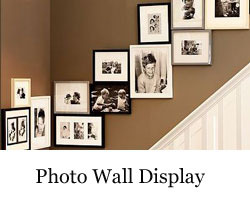 Here are a few more wall display ideas that we have had tucked away! These are ideas that create a striking impact without spending a lot of money! These ideas are from old Domino magazines that I have stock piled around my home with sticky's in them! Read more! This is a great project for those DIY'ers who love to be "earth friendly"!¬† Shared by our friends over at Photojojo, this project is fairly simple and creates quite a dramatic will display. Read more! Jars, Jars, Jars! We always have them and never know what to do with them! But now there is a create way to recycle and enjoy those jars. This look would be awesome in a shabby or country styled home! Read more! We're always on the lookout for something quirky and funky to do with our beloved photos -- but we'd never thought of making a 3D tunnel book with them. Read more! Imagine an old fence, turned into a stunning photo display! It can happen and it has been done and shared on a great blog called Brick City Love! Read more! Here is a great personalized gift that you can do yourself! This project was featured in a Better Homes and Gardens magazine, and it is definitely on of my favorite projects. Read more! 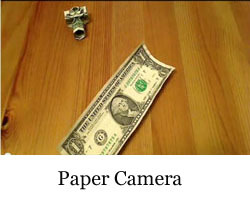 Create a paper camera with a Dollar and origami skills! We like to think we're as camera obsessed as the next man. But if the next man is Won Park that might not be the case … because we've never spent 20 minutes folding a banknote into a miniature camera. Read more!